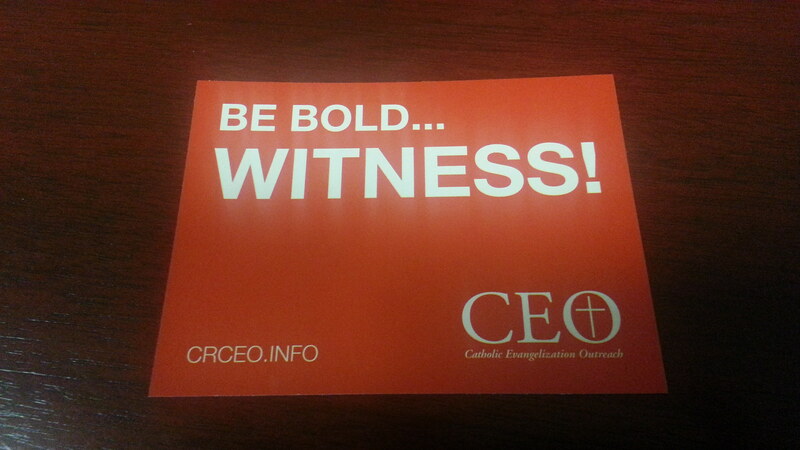 CEO will be promoting personal witness, showing videos and handing out information on this lay evangelization ministry. 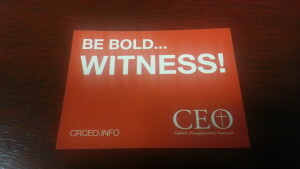 Please show your support for Catholic evangelization and get your Witness sticker. Get your free Witness sticker!